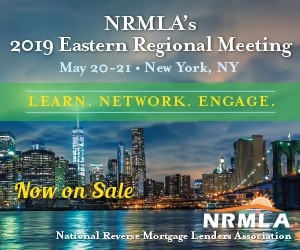 National reverse mortgage lender Finance of America Reverse has hired industry veterans David Cook and Elena Katsulos to its field retail division, the company announced this week. Both Cook and Katsulos will hold the title of reverse mortgage specialist in their new roles and will report to Scott Norman, FAR’s national retail sales manager. Cook and Katsulos bring decades of collective reverse mortgage experience to their new roles. Cook brings more than 50 years of mortgage banking experience including more than 12 years as a reverse mortgage originator. He has held divisional and regional sales positions across both retail and wholesale lending channels, and has focused on the reverse mortgage for purchase product, most recently having developed a strong referral network for the H4P. “It’s key in our industry to provide direct assistance to real estate professionals and other trusted senior advisors in order to provide options the seniors so richly deserve and know very little about,” Cook said. FAR points to Cook’s H4P experience as a strong differentiator for the company. “As David is the premier H4P originator in the country, we are very fortunate to have someone with his vast reverse mortgage experience joining our team,” said Norman. Katsulos also brings relationships with senior advisors to FAR, having worked as a reverse mortgage originator since 2005. “The most rewarding aspect of being in this industry is how the product helps those on every aspect of the financial spectrum protect their lasting legacy.” Katsulos said.